This map focuses on Chronic Stable Angina (CSA). This map links between etiology and pathophysiology of Coronary Artery Disease (CAD) and pharmacological treatment of chronic stable angina (CSA). 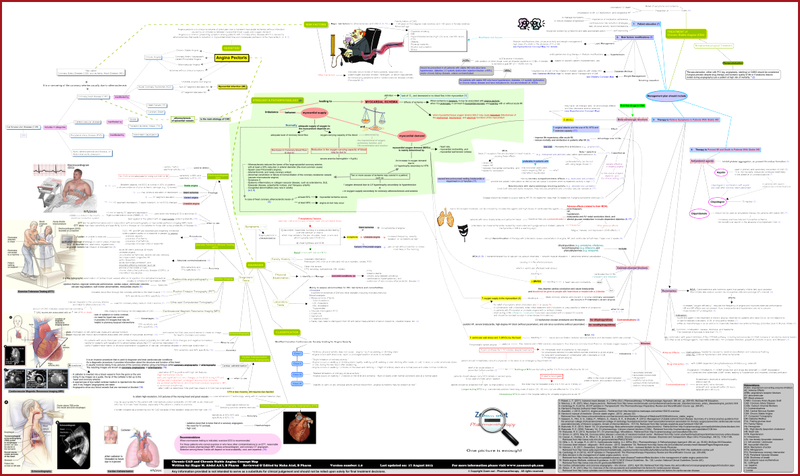 This map also contains a smaller mind map for diagnosis of angina pectoris. Angina pectoris is one of the manifestations of Coronary Artery Disease (CAD). Angina pectoris is a clinical syndrome of chest pain due to transient myocardial ischemia (without infarction) caused by an imbalance between myocardial blood supply and oxygen demand. Angina is a common presenting symptom among patients with coronary artery disease which is caused by atherosclerosis that leads to reduction in myocardial blood flow and inadequate perfusion of the myocardium. Ischemic heart disease is caused by an imbalance between myocardial supply and myocardial demand leading to myocardial ischemia. A detailed explanation on Chronic Heart Disease (CHD) pathophysiology and the causes of decrease in coronary blood flow and the oxygen-carrying capacity of blood; in addition to causes of increase in the oxygen demand (left ventricular hypertrophy secondary to hypertension) is stated in the map. discomfort, heaviness, burning or a pressure-like feeling over the sternum or near it, which may radiate to the jaw, shoulder, back, or arm and which typically lasts 0.5-30 min. These symptoms are the typical symptoms of chronic stable angina. Exceptions are present in cases of silent ischemia, unstable angina, variant / Prinzmetal angina as shown in the map. Cardiac Imaging: Radionuclide angiocardiography - Positron Emission Tomography (PET) - Ultra-rapid Computerized Tomography - Cardiovascular Magnetic Resonance Imaging (MRI). Angina occurs with strenuous, rapid, or prolonged exertion at work or recreation. "Slight limitation of ordinary activity." Angina occurs on walking or climbing stairs rapidly; walking uphill; walking or stair climbing after meals; in cold, in wind, or under emotional stress; or only during the few hours after awakening. Angina occurs on walking > 2 blocks on the level and climbing > 1 flight of ordinary stairs at a normal pace and under normal conditions. "Marked limitations of ordinary physical activity." Angina occurs on walking 1–2 blocks on the level and climbing 1 flight of stairs under normal conditions and at a normal pace. "Inability to carry on any physical activity without discomfort—anginal symptoms may be present at rest." Patient education regarding the importance of medication adherence, cardiovascular risk reduction strategies, daily physical activity recommendations, and self-monitoring to recognize worsening symptoms and take appropriate action. Risk factors modifications including: Lipid management, management of hypertension and diabetes mellitus, weight management, and smoking cessation. Therapy to relieve symptoms in patients with stable IHD. This includes: Beta-adrenergic blockers - Calcium-channel blockers – Nitrates – Ranolazine. Therapy to prevent myocardial infarction and death in patients with stable IHD. Including antiplatelet agents (aspirin and /or clopidogrel). 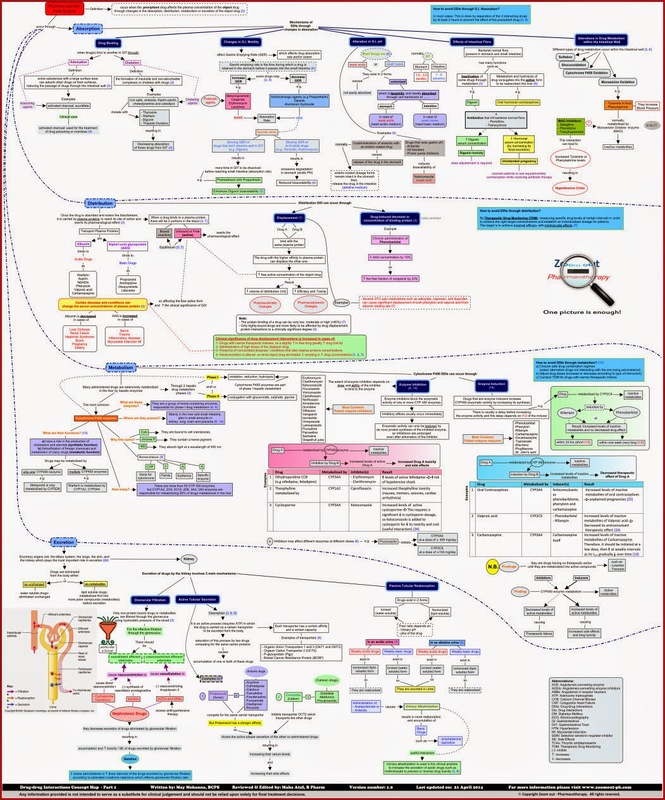 Details about each drug / drug class are stated in the map, including: mechanisms of action, therapeutic effects, indications, adverse effects, contraindications, and drug interactions. "Revascularization, either with PCI (eg, angioplasty, stenting) or CABG should be considered if angina persists despite drug therapy and worsens quality of life or if anatomic lesions (noted during angiography) put a patient at high risk of mortality." The maps is printed out on ordinary A1 size paper and it is folded to be nearly sized as A4 paper. To be sent to your address through the Egyptian Registered Postal Mail. Other countries: 2-3 weeks; you can upgrade to express mail. Please contact us for details. It's the map's soft copy. You will have the map as a whole on your computer screen. A .pdf file for the whole map will be available for download immediately after payment received. Printing the .pdf file of the map is not allowed. The map is split into pages to be printed on nine A4 papers. After printing them, you have to tape the edges together to make a folded poster. A .pdf file for the printable version of the map will be available for download immediately after payment received. Printing is allowed. The map is to be printed out on several pages. 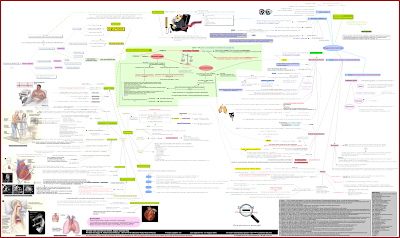 Chronic Stable Angina (CSA) concept map is written by: Hagar M. Abdel AA'l, B Pharm. Reviewed and edited by Maha Atef, B Pharm.